After the recovery of Agres grenades and plastic explosives on Aug 29, 2003, two cases were lodged at the Badda thana, one for illegal weapons and the other for assault and attempts to kill police. One Abdul Aziz Rubel was made the accused in both cases. Rubel was already known to the police as a marked criminal. Later, Rubel was wounded during a gunfight when the police were trying to recover the stash of illegal weapons. Rubel got treatment in a specialised hospital and, at the hospital, gave the confession. Later, he was freed on bail. Surprisingly, analysis of the documents related to the case has not produced a single photo of Rubel. Rubel’s father, Abdul Sattar, was a guard at the Mohakhali chest diseases hospital and died in 2002. Till 2016, illegal shacks within the premises of the hospital, rented for Tk 1,500 to Tk 2,000, were under the supervision of Rubel. He also provided illegal gas, power and water connections. During his confession to the police, Rubel said that he was employed to keep an eye for any presence of police while the grenades and explosives were being unloaded from a truck. But the police sensed something wrong was afoot and a shootout ensued, in which, two policemen and Rubel were wounded. The police have Rubel’s name as a professional criminal but there aren’t any photographs. In the Arges grenade case, the other accused are Md Jahangir, Md Mokbul Hossain, Md Shamsul Alam and Lincoln. In most cases, the exact addresses of the accused are not mentioned. 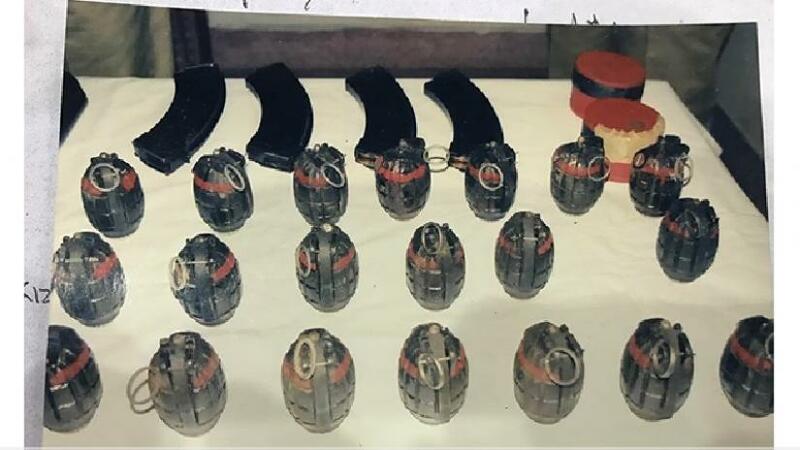 As per the charge sheet, the recovered stash of explosives include: 20 Arges grenades, 990 rounds of bullets, four AK-47 rifles, two loaded Pakistan made 0.32 revolvers, four-time bombs, two hand-made bombs, six electric detonators, two kg plastic explosive, half kg gun powder, detonating chord and one walkie-talkie.